The Doctor has returned to 1981- the right time but the wrong place. The TARDIS has landed on a massive spaceshiip four days away from earth. It is the domain of Monarch, a scientific genius of almost god-like power. Monarch rules over three billion of his spices, as well as a group of apparently immortal humans from Earth's history. What part has he played in Earth's past, and what are his plans for its future? Will he save humanity from itself, or be its destroyer? 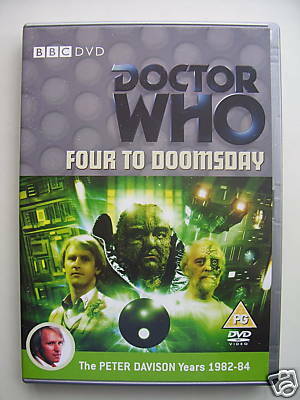 Its Four to Doomsday, and the Doctor has no time to lose finding out!